Betty’s Branch is CWT’s most requested route since inception. 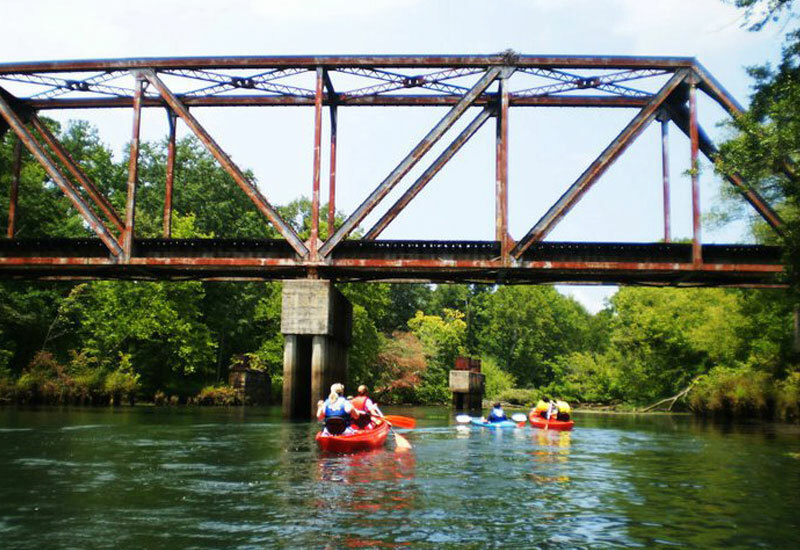 Betty’s Branch is a tributary to the Savannah River and home to the annual kayak/music festival, Benderdinker. It is a very easy trip to schedule because the launch and finish are at the same boat ramp; there is no need to carpool and shuttle on this trip. Paddlers have two options with CWT. The first option is to paddle north, on this minimal current route, until tired and return to Riverside Boat Ramp. If you are feeling particularly beasty on the day of, you can complete the approximately 3.5 hour trip around Germany Island. There is a small sandbar 30 minutes north of the boat ramp that is great for picnics. You can only hit this in the mornings as the water level rises in the afternoon. This route is more secluded and shady on the tributary side. Wildlife is abundant on this route. The most common Animals on this route include and in this order; turtles, herons, osprey, deer, hawks, otters, raccoons, owls, beavers, foxes, & even a boar if you are lucky! While on this route you will eventually pass a few holes of Champions Retreat Golf Course. This route screams Augusta heritage by combining the Savannah River with golf.